This article will discuss the pros and cons of lateral line maintenance products. Loads of commercials flash at you faster than you could even breathe. Commercials or advertisements are known to be the presenters of the choices that consumers have. A good majority of consumers are much smarter than they were decades ago when ads dictated their every purchase. The rest are still too overwhelmed with flowery words and imposing propaganda. It happens to everyone. Your wife may come home one day with a laundry detergent that you’ve only seen on TV or read about in the paper. Ads are formulated to broaden the premise of choices for the typical consumer. This makes them look at whether their money is going to the right product. Every product in the grocery shelves need to attract consumers. Some have great colors, unique packaging, and low process. But some have great promises. This is usually the issue when you purchase lateral line maintenance products. It’s better to talk to your septic expert first before you bring home any of these unbelievable, miraculous items. 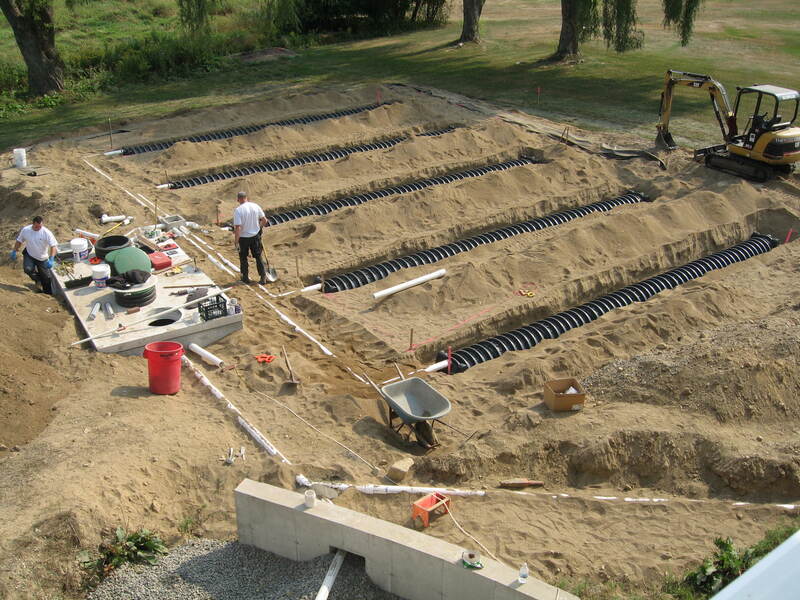 The lateral line maintenance products are an essential part of the septic drain field. It is made up of perforated pipelines that serve as the arms of the distribution box in dispersing the effluent. With the help f these pipelines, the effluent is sure to get purified and filtered before it reaches the surrounding environment. Anything that happens to the drain field, particularly to the lateral lines, affects the entire septic system. This is why proper use and care of the septic system should be done.
? The benzene, alkene, and naphthalene components pollute the surrounding water and soil systems.
? The formaldehyde, quarternary ammonium, paraformaldehyde, and zinc sulfate components are considered “biocidal” when used in large doses.
? The sulfuric acid component corrodes the structural parts and eliminates the resident bacteria.
? Methane bubbles produced lift the solid waste particles and deliver them into the drain field, particularly to the lateral lines. It’s recommended by most septic experts that biological lateral line products should be used. Many states impose that these products be utilized, particularly the non-pathogenic bacteria. These cultured bacteria aggressively break down the solid waste materials and get rid of the septic odors. As they treat the septic, they leave the environment safe from contaminants. Choosing the enzymes as your biological lateral line maintenance product will only cost you and your system will just remain the same. This is what some researchers say. According to their studies, these enzyme products only have very little doses of useful enzymes to even make a significant improvement o the lateral lines and the rest of the system. They argue that human waste that’s being dumped every day gives more than enough enzymes to improve the process of solid waste digestion. The homeowner simply has to follow the pump out schedule as the form of regular maintenance. Sadly, septic product manufacturers take advantage of homeowners who only want to skip pump outs to save money. They give exaggerated promises that their products would be the best that could ever happen to their systems and that pump outs won’t be needed anymore. Homemakers actually believe this and completely surrender to using lateral line maintenance enzyme products. Consult your septic expert for the best lateral line maintenance product that would give the best results. It would be wise to use the biological ones to take good care of your system and the environment as well. We hope this article discussion helped to explain the pros and cons of lateral line maintenance products.